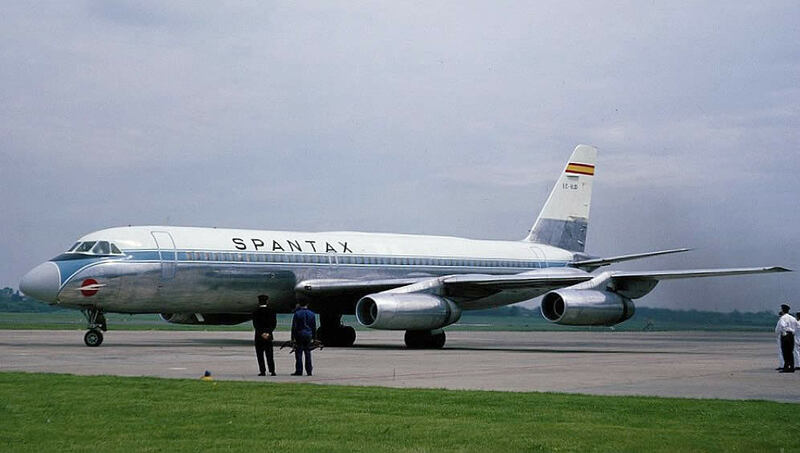 Spantax – Spanish Air Taxi Líneas Aéreas S.A.
Spantax joined the jet-age in 1965 with two ex-American Airlines Convair Coronado 990’s. 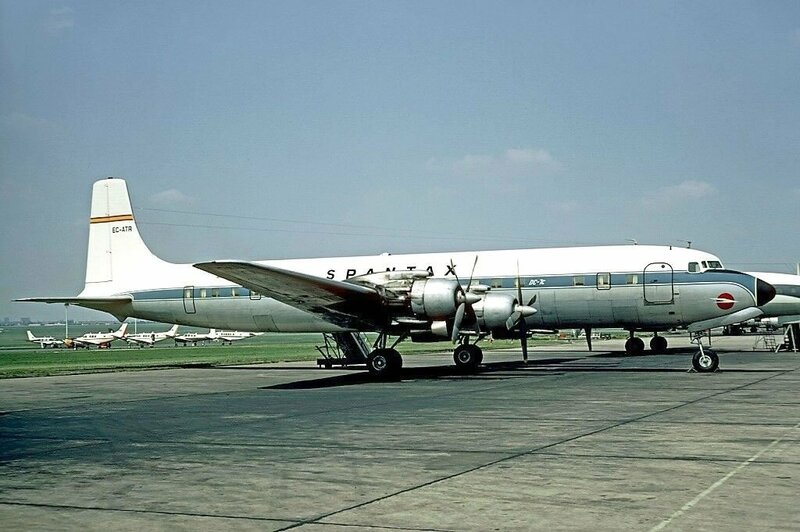 The Convair 990 was a narrow-body four-jet airliner produced by the Convair division of General Dynamics. 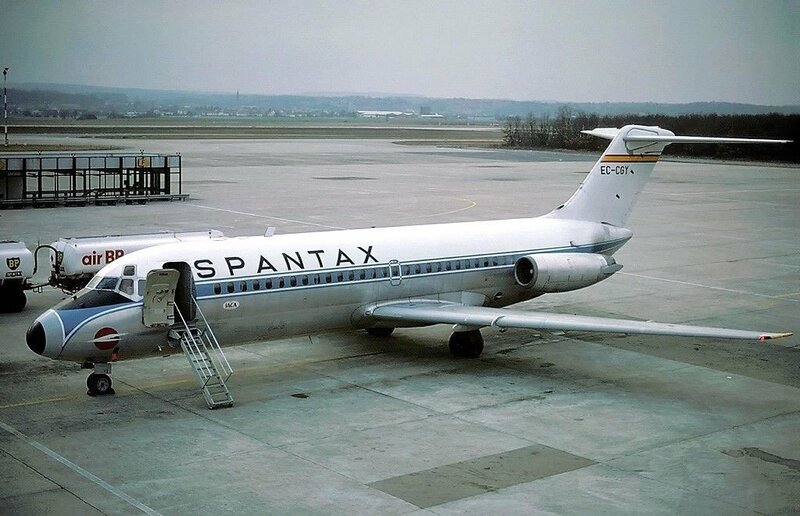 Spantax later acquired 12 more CV990’s four of them from Swissair. Several more jets were acquired through the 70’s. A brand new DC-8 and also an ex-DC-8 from Trans Caribbean Airways. 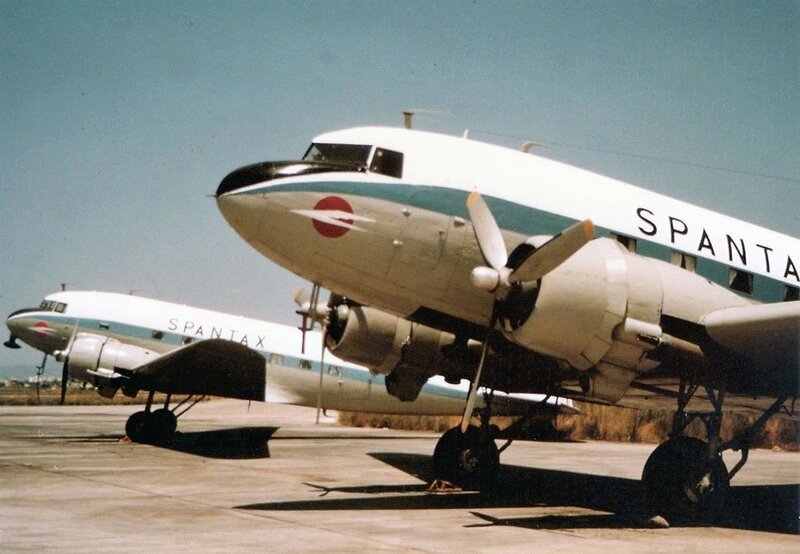 Their DC-9’s came from Southern Airways. 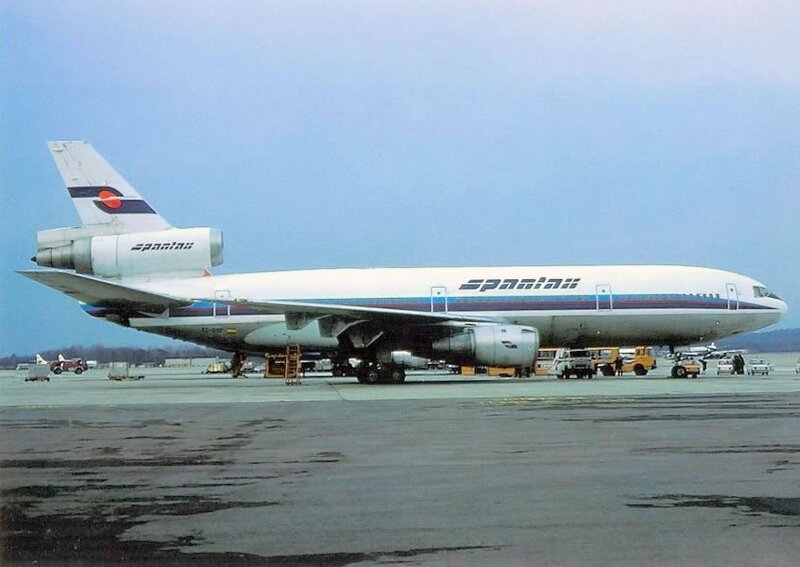 In October 1978 the airline put into service its first wide-body aircraft, a McDonnell Douglas DC-10-30. No mention where their DC-10 came from. In the 80’s they leased a couple 737’s and a 747. They ceased operations in 1988.